Hey there Relayers, today’s fiction piece is a little shorter than usual but I think in this case less is more. This idea has been in the back of my mind for awhile now and I finally got a chance to put it down. I’m especially proud of this piece, it was emotionally difficult to write but the words came easy. I hope you enjoy it. I always pictured something going wrong. Just not this wrong in every way. When someone ends up in a bad situation, you always inevitably ask, ‘how did I get here?’. Well, I can tell you. My wing of F7A Hornets were out on long range, routine patrol when they hit. The wing was within range of Carteyna in the Cano system, when my radar alerted me to something just in range, six little blips on my screen. We’re combat prepared when they finally overtake us but we didn’t expect the speed at which they hit us. Six Glaives driving through the heart of our group, scattering our formation. We manage to take out a couple before favour turns and they start picking us off one by one. I see my comrades disappear off my scope one at a time, as I try to hold off the one that has latched onto my six. I’m calling for help but the comms are silent, an ominous sign. I point the Hornet towards the planet, the Glaive following as I cross into high atmo. I take her down to the deck in hopes of shaking it off. Just as I pull out of the steep dive and level out I feel my ship shudder violently, the stick going dead. The last thing I see before my Hornet slams into the surface of the ocean is the silhouette of the Glaive as it flies over me and disappears into the cloud layer. Hitting the surface feels like hitting a brick wall, my little Hornet bearing the brunt of the impact. Pieces scattering across the water’s surface. Once everything stops moving I pull my helmet off to get a better look at what’s around me. Nothing. Water for miles and miles. My cockpit is thankfully intact but I can’t say anything about the rest of my ship as I see debris floating on the surface as I bob there on the waves. The reprieve is brief as I feel the cockpit portion slowly getting heavier as she takes on water. I incrementally start disappearing under the surface until the water forms over me like a bubble, finally swallowing the last of me whole. I search around for my emergency transponder and try to activate it. Nothing. I try again and then once more, without success. I barely feel like I’m moving as I descend into the deep. The ocean cradles me in her sweet arms, gently bringing me into her loving embrace. The darkness is beginning to completely envelope me, the sun failing to penetrate down this far. 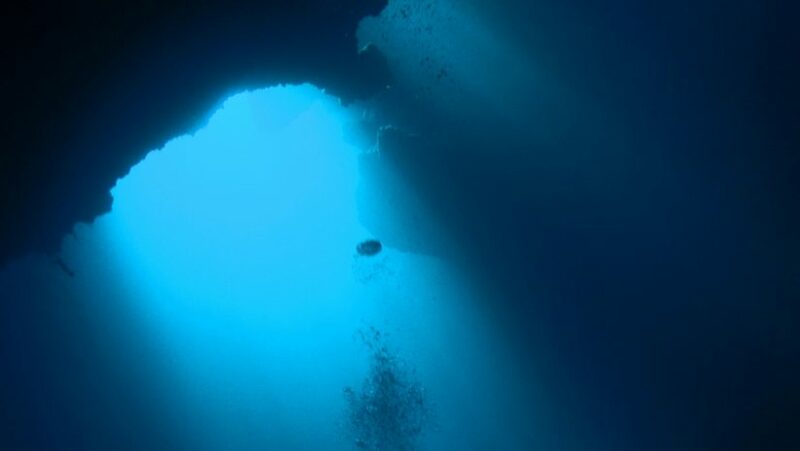 The cold of the deeper ocean permeating into the cockpit, my fingers and feet beginning to lose feeling. My thoughts turn to my wife, the stalwart presence in my life that kept me going, kept me alive. She would never know. I would be declared MIA and probably never recovered. There would always be that small doubt in the back of her mind, was I really dead? Could they have made a mistake? I will always be a shadow out of the corner of her eye, something she thinks she sees but never really there. Then there’s my little girl, my sweet little princess. She’d be 3 now. Those cherubic little cheeks and curly little pigtails that her mother always puts in her hair. Curls bouncing up and down with every little step she takes. My chest constricts and I feel my eyes burn, holding back the tears. My little Emma. She would put her arms around my neck tightly and say, “Don’t cry, Papa.” Then she would put her little hands on my cheeks, touch her forehead to mine before rubbing her nose to mine. Butterfly kisses. She would then demand we dance, how she loves to dance. Watching her little arms and legs moving at awkward toddler angles as she pulls me along with her to the music. I will miss that and a lot more. She will move through life, me a fading memory in the back of her mind, a faint ghost always present. Freezing water has slowly been filling my cockpit, now submerging half my body. I hear a crack and watch as a line spiders across my canopy, spreading out as the pressure increases force on my little ship. I reach up and run my finger down the crack, the last of the weak sunlight winking out. One last thought runs through my head as I resign myself to an inevitable fate, after all the pain and hurt has subsided and she has finally forgiven me for leaving her… I hope she dances again one day.